Take advantage of the summer to meet other young musicians and share your love for music in a fun and nurturing environment! The camp will end with a Recital open to the general public and a reception! Music Sprouts is a fun music class geared for young children focused on developing a child's fundamental love for music. We apply the same philosophy to the Arts portion of our camps to design an inspiring and most stimulating environment for our campers. Every day, our campers will explore the Musical and Art worlds through a wide variety of age-appropriate activities. Through the music portion, campers will be singing, participate in musical games and will have the oportunity to learn basics of piano and/or violin playing. 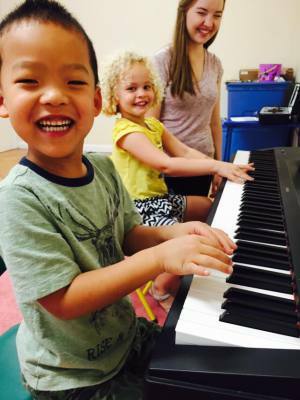 SMC Music Sprouts & Arts Summer Camp JUNIOR is geared for children 5-6 years old, while SMC Music Sprouts & Arts Summer Camp SENIOR is geared for children 7/8 years old. 1693 Main Street, Unit A, Sarasota, FL 34236. MUSIC SPROUTS WEEKLY CLASSES ALSO AVAILABLE! CLICK HERE FOR MORE INFO​​. 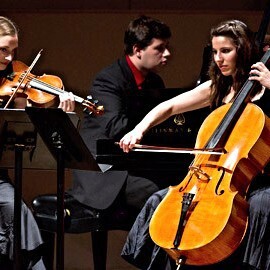 Submit the registration below for the Chamber Music Summer Camp or Music Sprouts & Arts Summer Camp. Pay the $25 non-refundable application fee -Paypal link below. A confirmation will be sent to you via email. All camp tuition fees are due by June 1st, 2018.